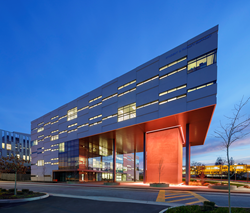 The building design optimizes energy performance and surpasses common sustainable standards. The five-story, 75,344-square-foot, $29 million building has achieved LEED Platinum certification from the U.S. Green Building Council (USGBC). 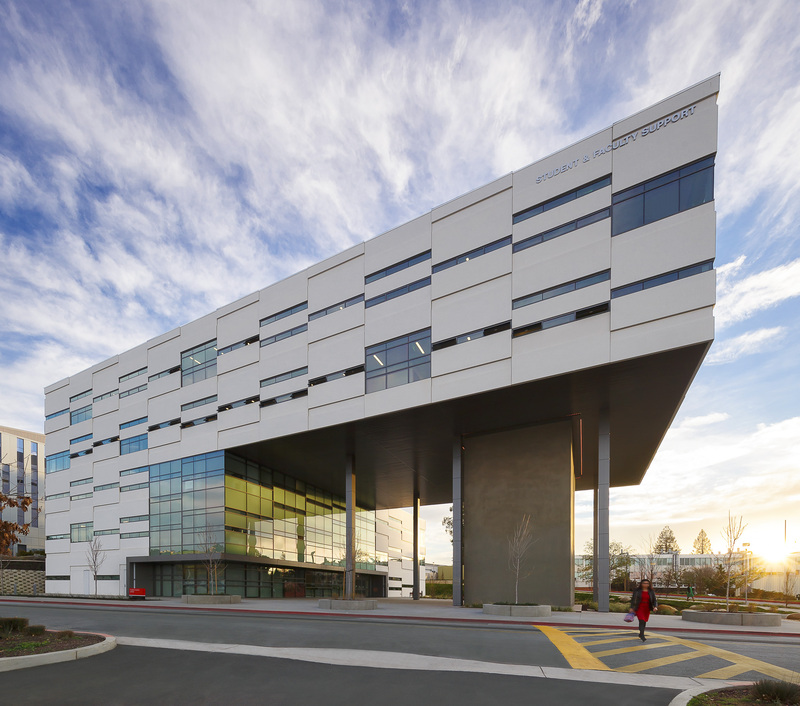 We are proud to have achieved LEED Platinum certification for this project primarily as acknowledgement of the level of environmental commitment from both CSUEB and LPA. 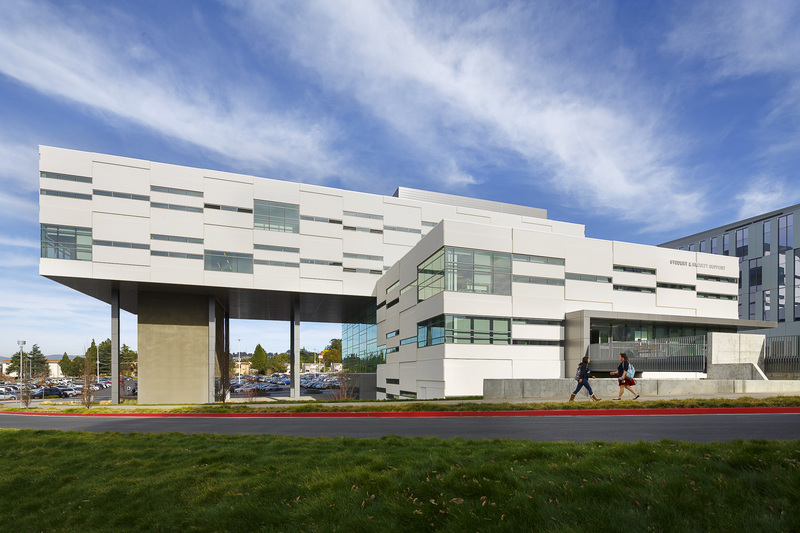 LPA Inc., one of the largest integrated design firms based in California, designed the Student and Faculty Support Center building to replace the Warren Hall landmark building at California State University, East Bay (CSUEB). The five-story, 75,344-square-foot, $29 million building has achieved LEED Platinum certification from the U.S. Green Building Council (USGBC). Completed in December 2015, the building houses faculty offices, support space and the campus Welcome Center. Occupying 300 faculty members with an additional 200 to 400 students per day during the school year, the new building serves as a gateway space for the campus. LEED is the foremost program for the design, construction and operation of green buildings. 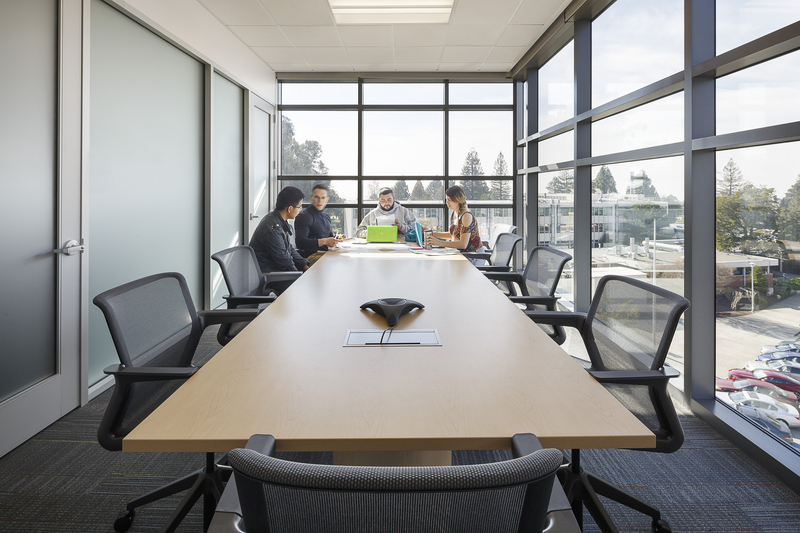 CSUEB’s new space achieved LEED Platinum certification by implementing practical and measurable strategies and solutions aimed at achieving high performance in: sustainable site development, water savings, energy efficiency, materials selection and indoor environmental quality. 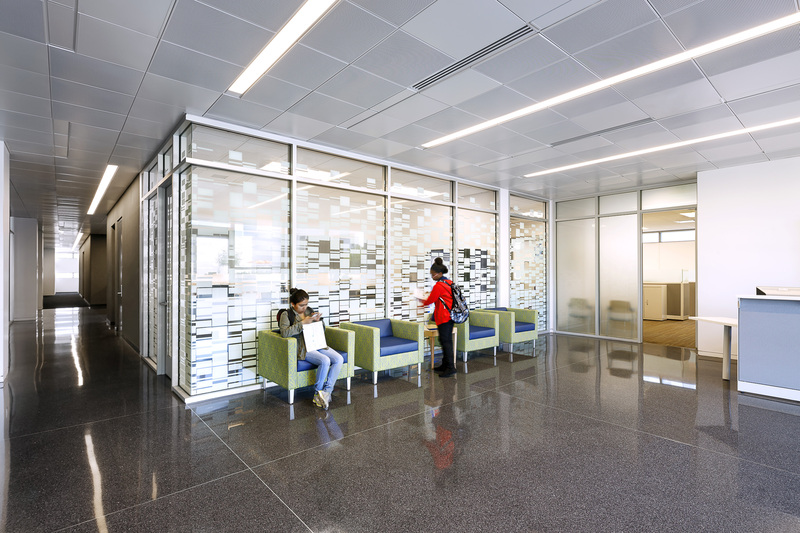 Built on a previously developed location by public transportation, the building design optimizes energy performance with efficient designs for envelope, lighting and HVAC creating a project that is 30 percent better than Title 24 standards. The 147-kilowatt rooftop photovoltaic array is predicted to reduce energy costs by an additional 30 percent making this one of the most energy efficient building in the CSU system. The holistic sustainable design approach included sustainable elements such as building water use reduction of more than 42 percent, landscape use reduction of 52 percent, reduction of heat island effects for roof and nonroof areas, storage and collection of recyclables, diverting more than 75 percent of construction waste from landfills and use of certified wood. Operable windows on the fourth and fifth floors provide natural ventilation along with dramatic views for the shared circulation spaces and site landscaping is carefully integrated with bio-retention stormwater management strategies to treat site run-off. The project demonstrates the power of LPA’s collaborative integrated team of architecture, landscape architecture, interior design, structural, civil, mechanical and electrical engineering, to achieve high-performance function and inspired aesthetics for the university’s students and faculty. Completed in December 2015, the building houses faculty offices, support space and the campus Welcome Center. The building occupies approximately 300 faculty members with an additional 200 to 400 students per day The new building serves as a gateway space for the campus. The building design optimizes energy performance with efficient designs for envelope.